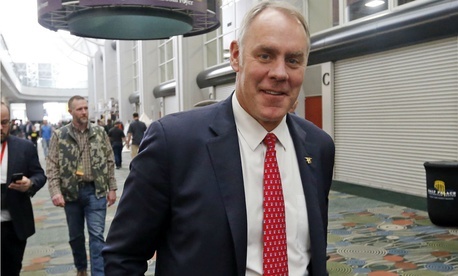 Policy decisions being made by acting heads of three agencies within the Interior Department should be declared null and void, according to a complaint filed with Interior’s inspector general by an environmental advocacy group. The current top officers at the National Park Service, the Fish and Wildlife Service and the Bureau of Land Management are working “in blatant violation of the Federal Vacancies Reform Act,” said the complaint filed on Monday by the Silver Spring, Md.-based Public Employees for Environmental Responsibility, an alliance of federal and state government workers. Under the 1998 vacancies act, decisions made by acting appointees who have overstayed their permitted tenure “shall have no force or effect,” the complaint said. “The law prevents a president from installing acting directors for long periods and completely bypassing Senate confirmation,” said PEER Executive Director Jeff Ruch, noting that President Trump has not nominated or even announced an intention to nominate permanent individuals for the three agencies. PEER asked the inspector general to catalog all possible violations of the Vacancies Act in the three offices and make public the results. The Interior IG office said it is reviewing the complaint to see if it is actionable.